Todd C. Chapman, the U.S. ambassador to Ecuador, denied issuing threats to the government of Ecuador, which earlier this year dropped plans to sponsor a resolution at the World Health Assembly to promote breastfeeding. An American diplomat involved in an effort by the Trump administration to prevent the introduction of a breast-feeding resolution at a global health conference this spring denied making threats to Ecuador, the country that initially sponsored the resolution. [post_ads]The article, based on interviews with three Ecuadorean officials who declined to be named for fear of losing their jobs, said that Mr. Chapman had made such threats in an effort to get the country to drop the resolution. Before publication of the article, the United States embassy in Quito declined two requests from the Times to make Mr. Chapman available for an interview. The State Department had also declined to comment, saying it could not discuss private diplomatic conversations. In his recent interview with the Times, Mr. Chapman said he was asked by the Department of Health and Human Services, the agency leading the negotiations at the World Health Assembly in Geneva, to meet with officials in Ecuador to raise concerns that H.H.S. had about the timing and substance of the resolution that Ecuador wanted to introduce. He said that during his meetings, with the Ecuadorean minister of health and the acting minister of foreign affairs, there was no mention of trade sanctions or military assistance. 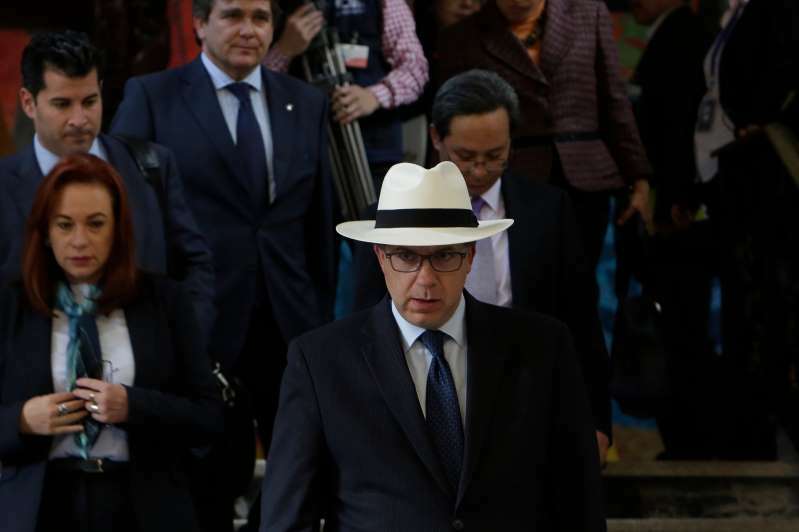 “I did not issue threats to the government of Ecuador,” Mr. Chapman said. Ecuador eventually withdrew the resolution, a nonbinding document that emphasized the need to promote breast-feeding and end “inappropriate marketing of foods for infants and young children” that might detract from breast-feeding. Russia later introduced a similar measure and it was approved in a slightly altered form that was supported by the United States. H.H.S. said that in the week before the World Health Assembly, the department asked Mr. Chapman to speak with officials in Quito, the Ecuadorean capital, because the American delegation was having difficulty getting Ecuadorean officials to meet with it. The assembly, which is the decision-making body of the World Health Organization, had approved a breast-feeding resolution at its previous biannual meeting in 2016 after detailed and divisive negotiations, and the United States did not see the necessity for another resolution so soon, Mr. Chapman and H.H.S. officials said. The Americans also worried that there would be too little time to debate the measure this year because Ecuador had deviated from international protocol by not raising the idea of a breast-feeding resolution until shortly before the assembly gathering, they said. “The U.S. was deeply concerned with Ecuador’s approach,”said H.H.S. spokesman, Ryan Murphy. Mr. Chapman said that in his discussions with the ministers, he read a diplomatic cable that H.H.S. sent him and conveyed the department’s concerns. Soon after, Ecuadorean delegates met with American delegates in Geneva and agreed to drop the resolution. Delegates who wanted a breast-feeding resolution then scrambled to find another sponsor, and Russia stepped forward to introduce the measure. The Ecuadorean officials who were the sources of the Times’s original article did not respond to requests for comment on Mr. Chapman’s statements to the Times. After the original article was published, the Ecuadorean government, a longtime advocate of international efforts to encourage breast-feeding, issued a statement saying it had not been pressured to drop the measure.